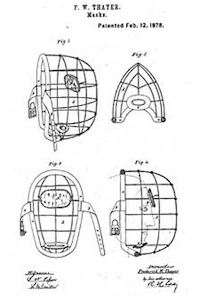 1878 After designing the device last season to protect his team's promising, but skittish, catcher James Tyng, Fredrick Thayer receives a patent for his innovative invention, the catcher's mask. The Harvard captain, who will never play in a major league game, designed an oblong wire frame modeled after a fencing mask with eyes holes that supports a series of strategically-placed pads made from animal skins. 1924 The National League announces it will join the AL in awarding a thousand dollars to the player selected by writers as the league's Most Valuable Player. Dazzy Vance, who posts a 28-6 record along with an ERA of 2.16 for the Dodgers, easily outpoints Rogers Hornsby to become the Senior Circuit's first MVP. 1930 After leading his A's to a world championship, Connie Mack becomes the first Philadelphian sports figure to receive the prestigious Edward W. Bok Prize. The honor, now known as the Philadelphia Award, recognizes distinguished Philadelphians for their achievements in education, industry, law, politics, science, medicine, philosophy, and the creative arts. 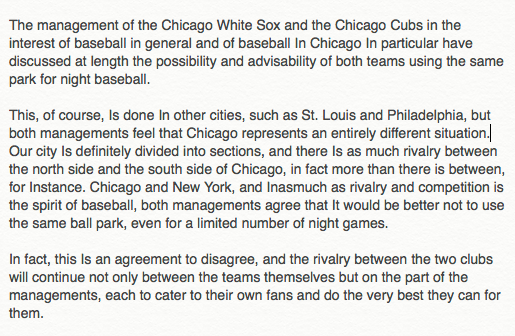 1942 The White Sox and Cubs issue a 150-word joint statement that definitely eliminates the possibility of the Northside team from renting Comiskey Park as a venue for National League night games next season. The Chicago rivals agree it is in the best interest of the city to retain the north-south boundary which clearly demarcates the fans' loyalty to the two Windy City clubs. 1942 Former Texarkana outfielder Gordon Houston is the first professional ballplayer to be killed in WW II. The minor league batting champion, who became a full-time fighter pilot following the attack on Pearl Harbor, dies at the age of 25 when his Republic P-43 Lancer crashes at Washington's McChord Field, after leading a sortie along the West Coast, looking for Japanese submarines. 1944 Bob Coleman, who filled in for Casey Stengel last season when the Boston skipper suffered a broken leg when hit by a taxi cab trying to cross a street, is named to replace the 'Old Perfessor' as the manager of the Braves. Considered one of the most successful managers in minor league history, the 54 year-old Indiana native could not work his magic with the wartime club, and after finishing sixth followed by a slow start in 1945, the former big league catcher is fired, being replaced by one of his coaches, Del Bissonette. 1980 When the American League offers to buy out the Oakland Coliseum lease, Marv Davis' plan to buy the A's from Charlie Finley is thwarted. The billionaire businessman, who will also make failed bids for the NFL's Cowboys and Broncos, had hoped to move the franchise from the City by the Bay to Denver. 1981 Arbitrator Raymond Goetz officially declares Carlton Fisk a free agent, citing the Boston Red Sox had violated the CBA by not mailing the catcher's contract by the December 20th deadline as specified in the agreement. Next month, the 33 year-old future Hall of Fame backstop will sign a $3.5 million deal to catch for the White Sox this upcoming season. 2002 With unanimous approval of the sale of the Florida Marlins to Jeffrey Loria, the former owner of the Montreal Expos, and the MLB's acquisition of the Montreal franchise, many personnel changes are announced. The Expos name Frank Robinson as their manager, Tony Tavares as president, along with Omar Minaya as the general manager, while south of the border, former Expo skipper Jeff Torborg will pilot the Marlins, with Larry Beinfest as the GM, and David Samson taking over the duties of team president. 2003 Federal Judge James Holderman gives the Cubs and the owners of rooftop bleachers which provide fans a view of Wrigley Field a year to settle their dispute. The team believes the seating provided above the field via rooftops directly competes with the club for ticket sales revenue, and the surrounding neighbors, in turn, have not been sympathetic to the team's expansion plans. "While Alex deserves credit for publicly confronting the issue, there is no valid excuse for using such substances, and those who use them have shamed the game." - COMMISSIONER BUD SELIG, commenting Alex Rodriguez's admission of using PEDs. Three days after Alex Rodriguez apologizes for using steroids, commissioner Bud Selig chastises the Yankee superstar, and all the other players, who used such substances, for bringing shame to the game. The third baseman's apology followed a SI.com report that he was one of 104 players who tested positive in tests taken in 2003 to determine the extent of steroid use in the national pastime. 2009 Dan Uggla (.260, 32, 92), eligible for arbitration for the first time, is awarded $5.35 million by the process. The All-Star second baseman, who has averaged 30 home runs and 90 RBIs his first three seasons in the majors, rejected the Marlins' offer of $4.4 million. 2009 Bluefish catcher John Nathans sues Jose Offerman, a former major league All-Star with the Red Sox and Dodgers, for the infielder's 2007 bat-wielding attack at a minor league game played at The Ballpark at Harbor Yard in Bridgeport, Connecticut. The backstop is seeking $4.8 million in damages against the Long Island Ducks player, claiming the 2007 incident left him with career-ending injuries which include inner ear damage, vertigo, headaches, and post-concussion syndrome. 2010 Corey Hart (.260, 12, 48) is awarded a raise from $3.25 million to $4.8 million in the Brewers' first salary arbitration hearing in a dozen years. In the first case to use the process this year, Milwaukee's offer of $4.15 million to their 27 year-old right-fielder, an All-Star in 2008, was rejected by a panel of arbitrators. 2011 "Doris From Rego Park" makes its debut on Jonathan Schwartz's weekend program on WNYC-FM. The song, written and performed by Don Rosler, is a tribute to Doris Bauer, the Mets fan who became a New York institution as a late-night caller to WFAN sports radio before she died in 2003. Rosler's Recording Booth available at Amazon.